As women who have had a baby, it seems like these are quotes that we get all of the time if we mention the fact that we are having self esteem problems after having our children or during pregnancy. Heck, I have even said a few of these myself to friends that are pregnant or in my head when trying to analyze my own feelings… psych major problems! Personally, I think it puts us in a tough position. Of course we don’t want to come across as overly vain or unhappy after we have just been given the perfect gift in our new baby…I posted earlier this week about teaching toddlers gratitude, and I should practice what I preach. But at the same time, sometimes those feelings can be overwhelming. Out of all of my children, I never suffered as badly with self-confidence issues as I have since our twins were born back in June. It isn’t even only about the weight. I mean, that does play a part. I shared about exercising after pregnancy and I still do that daily but weight does not come off like it used to. Before the birth of our twins, I was the most in shape I had ever been… then I got pregnant with twins. Unfortunately, body weight and appearance have become a constant area of criticism, for women especially. I can sit here and write that I really don’t care what others see me as and what they think about my weight, but I CARE about my figure. I am a woman. We analyze every bit of ourselves and after we have children, there seems like SO MUCH to pick at and to judge about ourselves. Again, here comes the “but you had twins!” line. To me, that just doesn’t justify anything. My hair is falling out in clumps, still! This has been non-stop for three months now and it really seems like I am going to lose every hair on my head. 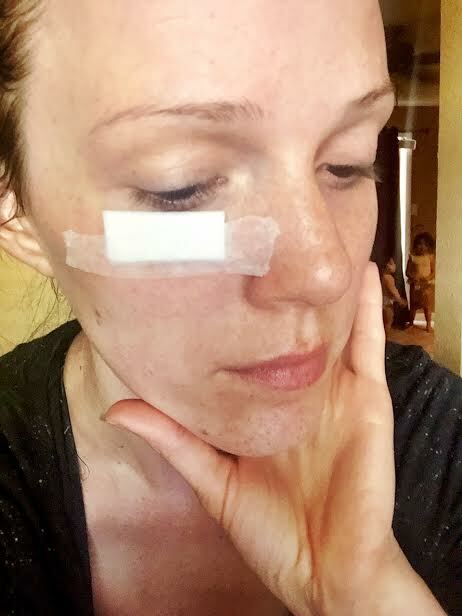 It doesn’t seem like anything to some, and it may come across as so small and egotistical that I would even care about this little bandage on my face. But I am 25-years-old, and I have sizable scar on the forefront of my face due to cancer. It’s a lot to take in. So… weight, hair, and face. Pretty much the three things that a woman tries to keep young and healthy for as long as possible. 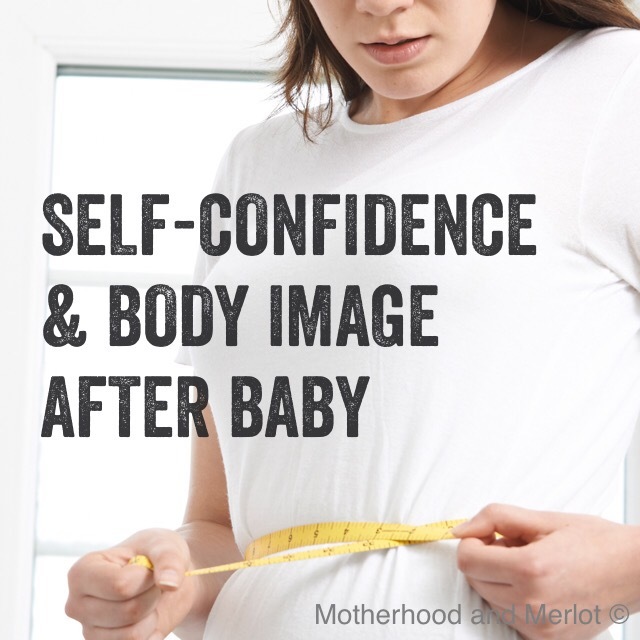 So how do we, as women, get our confidence back after we have children? I wish I knew. If I knew a quick fix, I would be happy to share it with you all. On this blog, I seek to do nothing but empower other women. I realize that by sharing this post, on a topic that I would consider one of my downfalls (self confidence issues), it is not the most uplifting of things for other women going through similar things to hear. But, I sit here and think about how reassuring it is for me when I hear other moms struggling with the same thing. Not because I want to see them struggle, but because it makes us all feel like we aren’t alone in the difficult journey of motherhood. Motherhood and pregnancy are beautiful and they are a miracle, but they take a toll on our bodies and our emotions as women. I try to remember this verse whenever my self confidence issues hits an all time low. So, I am having a major lax in self confidence and body issues. I am so happy and in love with my four children, but it is hard to focus on that when I live in this body. I want to be able to build that self-esteem within my own children, but I know that the something that they have to learn, and it’s something that they will have to learn from me. What are some of the things that have helped you with your self confidence after you went through pregnancy and delivery? Thank you so much for sharing this. My youngest is six and I still do not feel like myself, part of it is I am getting older. I wish there was a magical mirror that allowed us to see ourselves the way our kids do! By the way, you are beautiful! I love the verse you chose! Thanks for keeping it real. I think a year or so after my son was born I finally accepted that There are things I can work on to change, but there are other things I can’t-which can be discouraging. I wish that you could see outside of yourself for just a moment to see yourself as we all do. We see a beautiful, strong, incredible woman. You have touched so many lives with your courage and your honesty through your blog and through Periscope. I think I can speak for most of us when I say thank you for starting the difficult conversations about Post partum anxiety and body image. They are things we need to talk about. I am so incredibly proud of you for writing this piece. I know this season has been indescribably difficult and that the hole seems to get deeper and deeper… but the way you are refusing to lose yourself in seclusion or hiding is amazing. Healing comes when we face the wounds. I am so excited to see what the Lord does in you through all of this, and how He deepens the roots of your faith. Love you, my friend! Thank you for writing about this. My youngest was born in June and I’ve also been lacking in confidence about a whole lot of things lately. I’ve been in limbo between not fitting into my pre-pregnancy clothing and my maternity wardrobe being far too big. I finally decided to just buy some clothing that fits me the way I am now and it has helped my confidence a lot. Now if I could only do something about all this hair loss. Sigh. The hair loss is the worst!!! I love that you are so honest here. When I had my son (early 20s) I put on my pre-prego pants 10 days after having him. My body just went back to normal… Then with my daughter it was a whole different story. I have finally lost the weight, but my body just hasn’t gone back to normal. My husband is great for telling me I’m beautiful. Most people would be shocked that I am still uneasy about my body. With clothes on I look back to normal… It’s what I am hiding underneath they can’t see. I just try not to dwell on it. I have come to terms that I wont be making any massive new effort to change anything. So if it goes it goes… At least that’s what I try to convince myself. You are a strong lady. It’s really difficult for me not to dwell on it. I’m super self-critical. I think we are bombarded with so many messages about what is considered beautiful in our society, and it is often quite unrealistic. 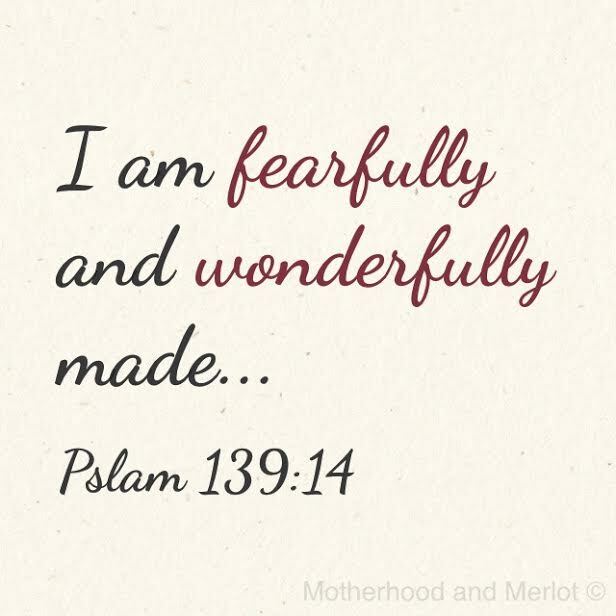 After I had Eve I read a post about a woman marveling over the stretch marks and curves in her body and what that meant about what her body did. I found it very empowering. I think reminding myself that this body grew and birthed a baby helps! That and trying to exercise helps. Thanks for sharing another honest and beautiful post, Joanna. I love having a girls night out so we can talk about our struggles. Like you said it’s nice knowing someone understands you! I can totally relate to this.. at 36 years old.. it is getting harder for me to see pictures of my changing (& aging) face. I know we all get older, but looking at pics 10 years ago.. and then now… ugh. Thanks for sharing.